Year after year, more rep firms use RPMS than any other rep-specific software solution. With four major product platforms, we have a solution for nearly every agency. RPMS V8 is a desktop and LAN based Windows (7, Vista, or 10) application. It uses the high performance client-server Pervasive.SQL database by Actian for its underlying files and records. Configurable from 1 user to thousands, Pervasive.SQL and its predecessor product Btrieve have been part of RPMS technology since 1988. Many developers shy away from this database system because it takes more time, effort, and costs more to program for than simpler database solutions. But its reliability and high performance are worth the effort, and are part of the reason we are often asked to convert rep firm data written for other database systems into RPMS. Unlike some rep software systems, the quantity of data stored over time does not diminish the speed of RPMS. Many of our customers have used our software trouble-free for over 20 years. If anything, the product has become faster and more reliable, even within the same hardware and more complex configurations. The Lists feature allows setup and tracking of customers, principals (manufacturers), sales reps, territories, contacts, products, and more. The Reports feature contains over 50 different report setup screens, each with many sort, filter, and output configuration options to produce nearly any requested information. All report destinations include print, preview, PDF, Excel, and more. The Snapshots feature provides rapid on-screen reporting. Snapshots require little or no extract or processing time to produce, since they are real time views of history over virtually any time period. 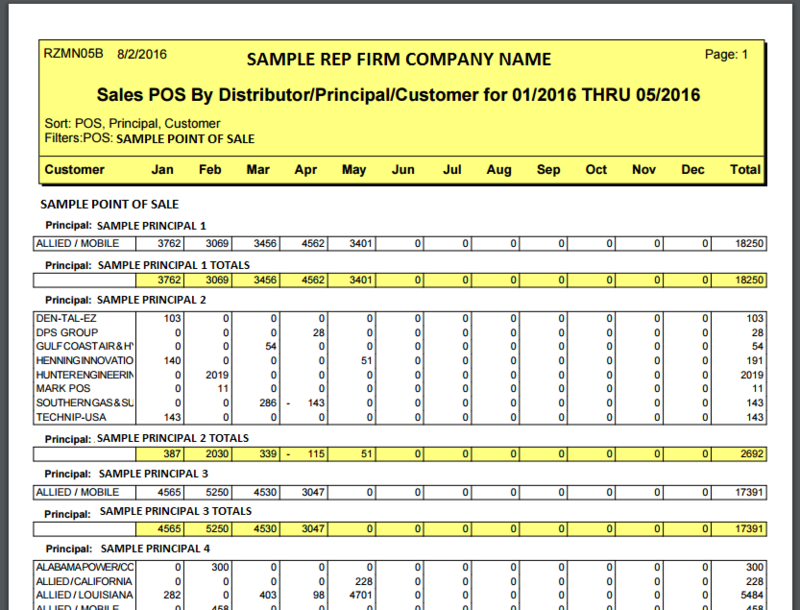 Snapshots can be reviewed for any or all principals, sales reps, customers, products, territories, or points of sale. 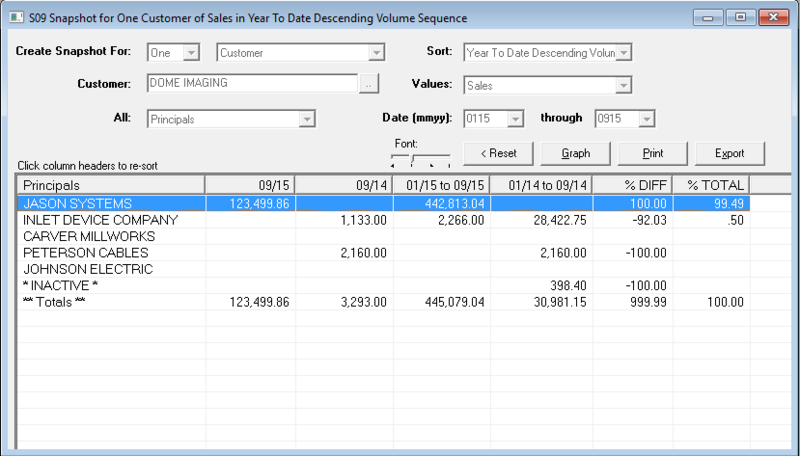 All snapshots can be directly exported to popular spreadsheets like Excel. 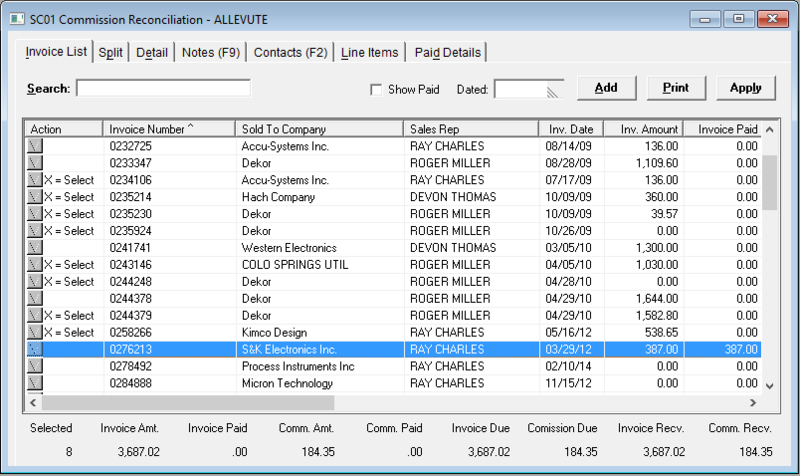 The Invoice and Commission Tracking feature allows entry of invoices from factory commission statements, creating commission statements for individual salespeople and management reports by principal, sales rep, and customer. 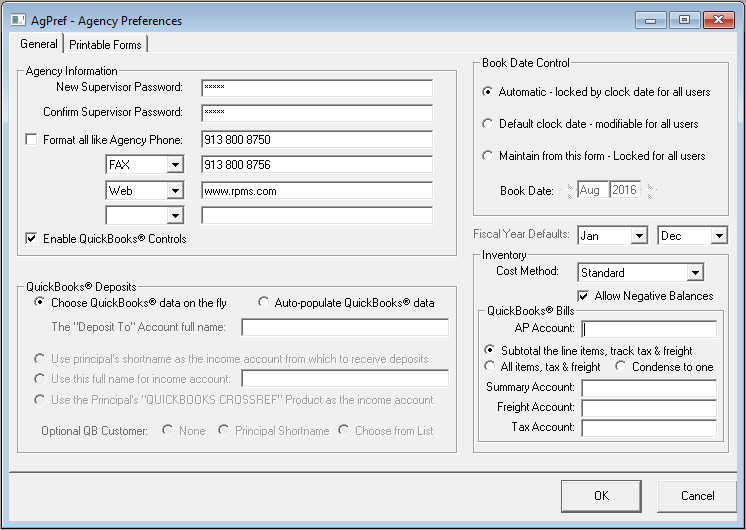 Convenient lock buttons allow duplicated fields to contain the same value between entries, speeding up data entry. The POS (Point of Sale) feature is primarily intended for electronic components reps and health-care reps selling replaceable products, since these rep industries are not always paid for selling into distributors. The POS feature tracks sales from distributors, for manufacturers, to customers. 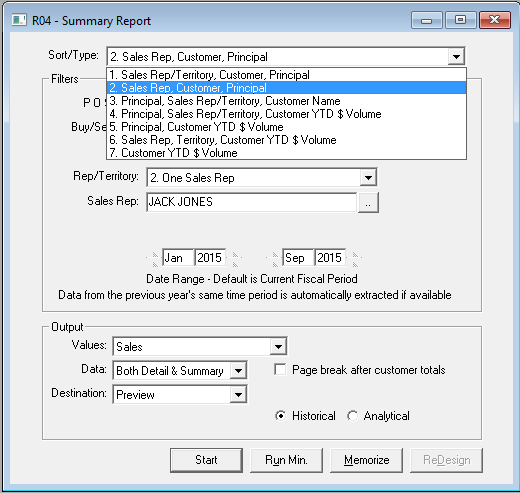 Reports can focus on “direct sales” (OEM) or POS sales. 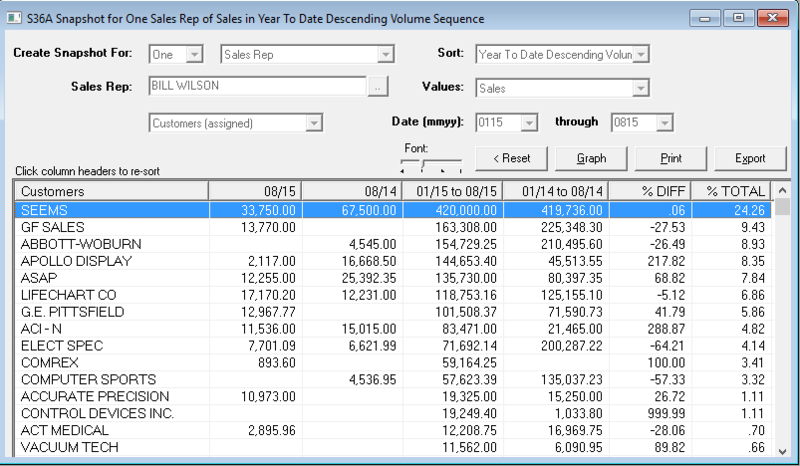 Distributor-based reports can be run that display business by customer or by principal. POS can also be used by Gift industry reps and Seasonal industry reps to track shows or seasons. Any rep firm can use POS to track another entity in each transaction. The Administration feature allows managers to securely set up user passwords, establish company information and settings, create linkage to QuickBooks accounting software, perform maintenance operations, and more. There are several additional features that can be added at any time to your RPMS system. 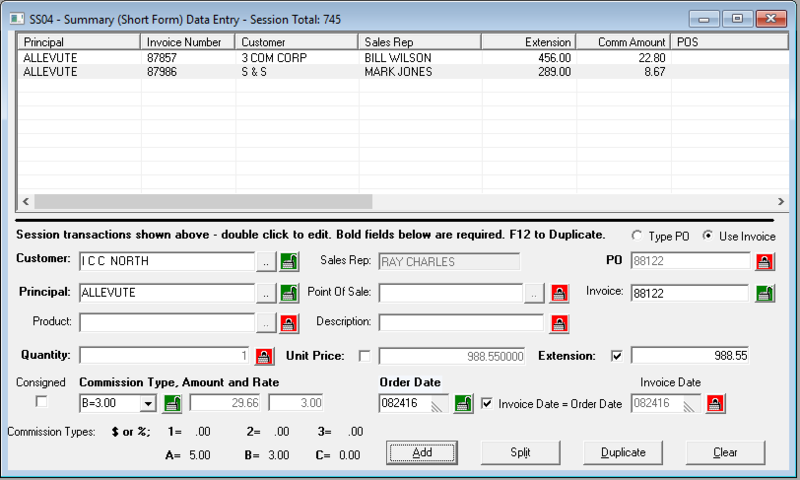 The Pro configurations adds the Order, Quote, and Sample Tracking feature. 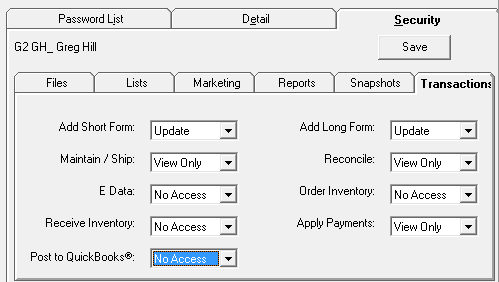 This feature provides an order-entry vehicle to monitor the status of orders. Shipments and partial shipments are handled without re-creating entries. Quotes and samples can be tracked using the same data forms. Backlog reports include expediting reports and late-order reports based on schedule date. The Customer and Prospect Direct Marketing feature allows accounts and contacts to be coded with user-definable classification information (e.g., SIC codes, interest codes, jobs, titles, Zip codes, etc.) then extracted based on user-supplied criteria. The extracted group can then be used for blast e-mails, mail merge lists with popular word processors, for mailing labels, for call reports, and for cross-sectional sales and commissions reporting. The E-Data (Electronic Data) feature provides for uploading capabilities for electronically received data. Orders, acknowledgments, invoices, POS reports, products, and commission statements can be received and/or transmitted electronically to eliminate data entry. Cross-reference capability is built in, and audit and error results are automatic. The Security feature allows passwords to limit access to View Only or No Access based on feature, function and/or sales rep. 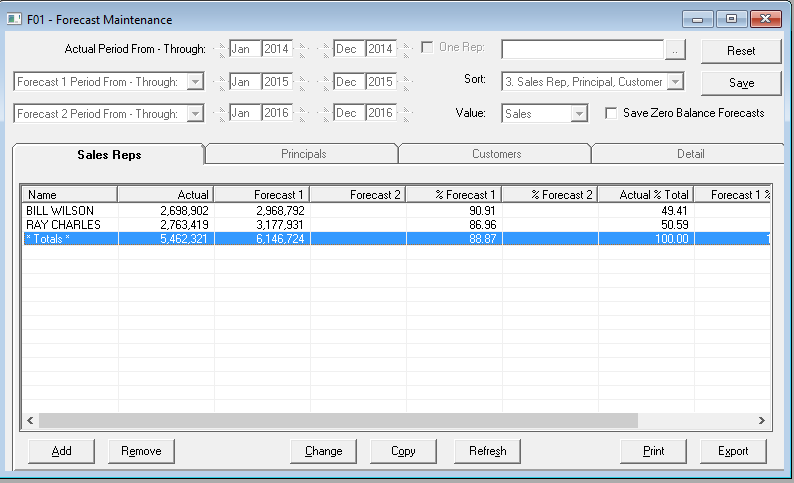 The Sales Forecasting feature uses sales or orders history information to predict and forecast future business. Built-in spreadsheets and global manipulation functions allow prediction and measurement of forecast achieved by customer, sales rep, and principal. Forecast performance reports are suitable to measure internal quotas. 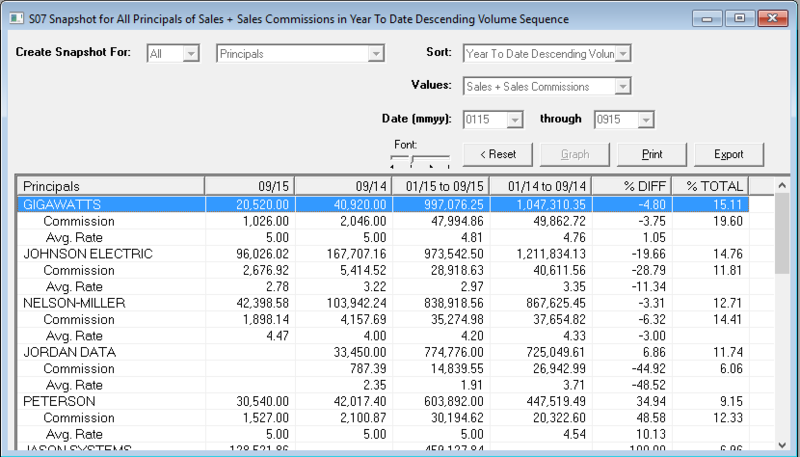 The Line Potential Analyzer feature uses commission rate history to determine sales necessary to gain certain commission amounts from various principals. Additional Simultaneous Seats can be added to any RPMS system, allowing simultaneous access for two or more users on a LAN or WAN. Additional Data Sets can be added, allowing multiple rep companies to be managed on the same PC or server. 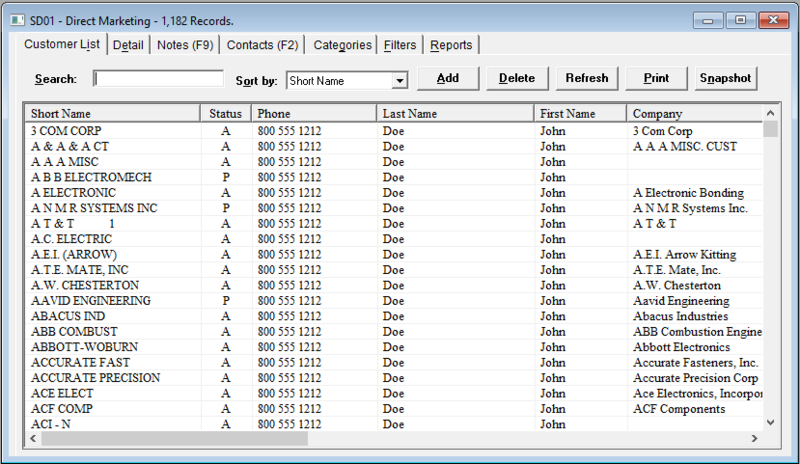 The Remote User feature allows disconnected remote sales reps to record and then send orders to the main office for electronic upload. This module requires the E-Data feature. The RPMSCloud hosts your RPMS V8 application and data on a secure Microsoft server that is licensed, maintained, updated, and backed up by RPMS. Users install a remote application link on their desktops, and open RPMSCloud like any other application. But the program and data are actually running on the RPMSCloud server. RepLink provides instant, real-time access to RPMSCloud customers using iOS (Apple) and Android phones and tablets. The free app securely connects to corporate data and displays customers, principals, sales histories, recent orders and invoices, contact information and much more. Because agency owners can set security for each user, information can be tailored to the specific needs of rep company owners, employee sales reps, and other employees. RepLink version 1.0 for iOS and Android is now generally available. For iPhones, Click this link, or from your apple mobile device search for RepLink on the App Store. For Android devices, Click this link, or from your android mobile device search for RepLink in the Google Play Store. The RPMSCloud hosts api.rpmscloud.com, a Restful JSON application programming interface for use by third party developers. Fully documented and supported, rep agencies and others can write their own calls and code to securely retrieve their company data to corporate web sites, third party applications, or for local use. Desktop or Cloud - Which would be better? The RPMSCloud application experience is designed to be as similar as possible to a desktop experience. 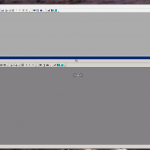 So for end users, there are only a very few differences. In terms of hardware infrastructure, updates, and backups, the RPMSCloud is much easier of course. Some operations, including reports and lengthy data extractions, are faster on the RPMSCloud. The table below lists key differences between the Desktop and Cloud versions. API RPMSCloudAPI allows third party development Optional. API can be added to Enterprise systems only. For more about the speed of the RPMSCloud and how it compares to the desktop version, click the thumbnail below to review a side-by-side comparison conducted in late 2012.